“There is no doubt that cryptocurrency is the future of money”, — said Joerg Platzer, the owner of Room 77, the first bar in Berlin to accept Bitcoin. He believes that together with Bitcoin, cryptocurrency is the future alternative to the current economic system, and he precedes this idea through plenty of lectures, talks with politicians, meetings and conferences. Joerg has recently written a book for Bitcoin dummies, which is going to be released this autumn. 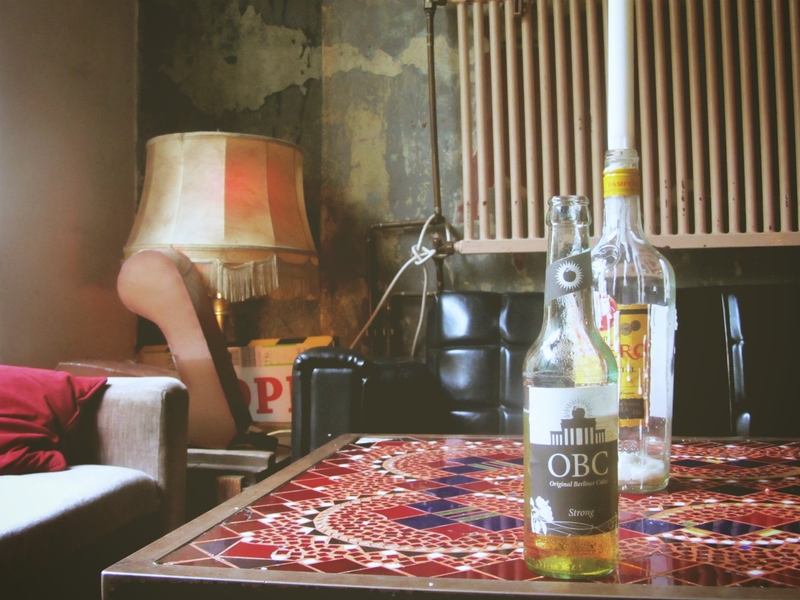 CEX.IO visited Room 77 in a nice Kreuzberg area of Berlin to talk to Joerg Platzer about his famous bar, Bitcoin passion, and the future philosophical prognosis about the money value. The slogan of Room 77 is “the restaurant at the end of capitalism”. How did you come up with it? That came from the hacker scene of the movie The Hitchhiker’s Guide to the Galaxy by Douglas Adams, where there is a restaurant at the end of universe. Some hackers came up calling us the restaurant at the end of capitalism. Just like that. And there is no reference to the actual claim. For how long has Room 77 been existing? And how did you start accepting Bitcoin? We opened Room 77 ten years ago as fulfilling an old dream. Before I was working in communication and information architecture sphere as a consultant for two decades. And I have always wanted to have a bar in Kreuzberg. So it was actually a fulfilling of an old dream. We thought that it could crash in a year, but it has been standing for 10 years now. We started accepting Bitcoin experimentally in 2011. Obviously, it`s an economic system of the future and it makes a lot of sense to use future technology. Especially since it allows us not to use the legacy of financial and economic system anymore, cause it`s fucked up. How is Bitcoin infrastructure in Berlin from your point of view? There are quite a few shops in the neighbourhood that accept Bitcoin. There are a lot of new ones joining in the next few months, cause we are using Bitpay that allows all the merchants or restaurant owners to accept Bitcoin as well. Other than that, there is a lot more going on with Bitcoin in Berlin, such as start-ups, meetings, commercial and non-commercial. Berlin is a very progressive city that attracts a lot of people from all over the world. It has a long history as the hacking capital of Germany. Therefore, there is a lot of stuff going on here. So now there are a lot of other bars in the neighbourhood, which started accepting Bitcoin. Weren`t they suspicious about the whole Bitcoin stuff? Among the bar owners here in this neighbourhood, you can see more cooperation than competition. People understand that it`s good for their own business if there are other nice places nearby, cause they attract people to come to the neighbourhood. We know each other, we visit each other. And other bars realised that Room 77 was taken this funny money, they started learning about it, of course, laughed about it and thought it was not going to be accepted. But after a year it was still successful, and there were people who were paying in Bitcoin. So the bar owners got interested and this is how it was started. Do you mine and trade Bitcoins? What is the place of Bitcoin in your life? I`m full time in Bitcoin since I`ve discovered it. Obviously, I did all of the above and probably even more. I was involved in commercial and non-commercial projects, I held lectures, I educated members of the German parliament, intelligence community, police community, I talked to the bank sector. So my life is 100% or even 120% Bitcoin oriented since 2010.
Who are those politicians who want to know more about Bitcoin? As far as I know, this sphere is not well-known and well-accepted on a political and legal level in Germany. Well, it`s an open field. They start to regulate Bitcoin. I`m pretty exposed person in the German Bitcoin community. I also get approached by members of financial committees in German Bundestag. They want to talk to me about the reasonable regulation of the cryptocurrency. And what I`m actually trying to make them understand that there is no way to regulate cryptocurrency. This will probably not stop them from trying to do so. They have not understood what`s coming up, that we have decentralised economic system which cannot be regulated. Looking from the legal perspective, how do you report about the transactions in Bitcoin? We claim about all the turnout that we make in euros. We are not heavily audited by tax people cause we are very exposed in the Bitcoin scene. They can come here and check everything out to see that what we are doing is correct. We report every turnout that we make, we report in euros no matter if we take it in euros or Bitcoins, or dollars or silver coins or whatever. This is what the law says. We also documenting which of this turnout was made in Bitcoin. Anyway we are a cash-based business, so the law makers know if we would want to cheat with taxes we would probably do this with cash but not with Bitcoin. I have had an ATM machine here for two months from February till April this year. But it was for demonstration, research and development purposes. We wanted to build up some infrastructure around it, we`ve tried to hack it. It was totally non-commercial and time-limited project. We allowed private people to use it as digital market place without any fees. 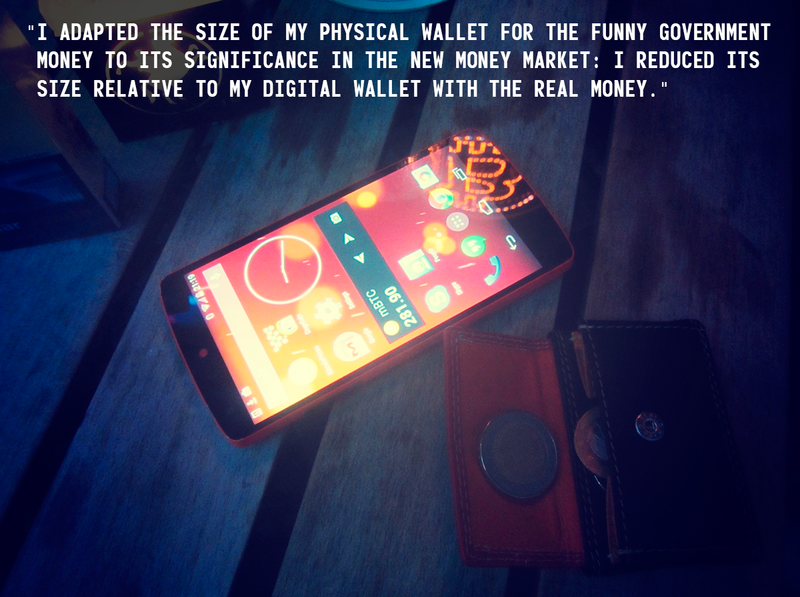 What kind of wallets do you use? Due to the fact that I`m dealing with Bitcoin economy, I wanna know what`s going on there. I also an author for O’Reilly media. I`ve just finished a book “Bitcoin for beginners”, so I have researched all the wallets available and probably have used every piece of software that`s out there so at least to try it out. Tell us more about your new book. When will it be released? It will be in the shops on 23 of September, it`s for O`Reilly Germany. It`s like a big Dummies guide for Bitcoin. It explains Bitcoin in a popular language, not in academic. It has a featured step by step guide for different types of wallets and applications, where and how to buy and trade Bitcoins. There are also 30-40 pages about the whole topic of money so that people can put Bitcoin in the context of money and make their one conclusion by learning why gold became money, how money works etc. Going back to Room 77. Do you accept any other cryptocurrency? Would you say there is a future for Bitcoin? We only accept here Bitcoins, but we don`t know if Bitcoin will stay the dominant system. It looks like that but it could fail. Bitcoin is still an experiment. However, the principles of crypto currency will dominate the future economic and financial system and it will be the money the world will be using. I have no doubt about that. It must makes sense as it was 25 years ago many people doubted if the Internet has a future. The same thing is with a Bitcoin now. Bitcoin is the perfect money for globalised information society and globalised information economy. It combines the characteristics of money based on limited resources like gold with all the advantages of information technology. And it`s by far better than fiat money that we`ve been using. For the last decades we have been using fiat money or debt pay-system. All of this financial systems have failed. For our current system, there is no reason to feel that it`s not going to fail. We are watching it failing right now. It`s a good thing that Bitcoin came up as an alternative and it`s going to be a much better alternative that we know so far. I have no doubt that crypto currency is the future of money. You are also a member of a newly founded Crypto Economics Consulting Group. What`s interesting about it? We call it Cyber Punk Think tank. We are talking to legislators trying to anticipate the destructive impact of cryptoeconomics on a higher level. Crypto currency is a big game changer and a huge equalizer. It takes the power from those who has the power right now, such as banks, governments. All these institutions are facing a massive loss of power. There is a massive movement of wealth and power going to the people. That`s changing a lot. Do you really think that it`up to the people having the fact that poor people hardly ever heard about Bitcoin? 25 years ago everybody hardly ever had an email account and it`s estimated that in five-six years there will be no spot on the planet without the Internet, so there is a huge development. I believe that cryptocurrency and cryptoeconomics is the third wave of digitalization of human kind. The first way was the establishment of the personal computer. The second way was the Internet, which again did speed up the adoption of personal computers. And now we have a monetary digitalized system. Digital economy is only starting now with the turn up of the cryptocurrency. It`s a free programmable economic system. Bitcoin is an open source system. Anybody who has an idea, which can add to the usability of the cryptocurrency, can just do it as long as they are capable of writing the code. They don`t need to ask anyone for a permission. In our current economic system, if you have a new idea and you want to try it in the reality, you need millions for lawyers who negotiate with regulators, you need to negotiate with financial industry, the credit companies, the banks. You need to fulfil the regulations. It takes years before you start implementing your idea and it costs you millions. In cryptoeconomic world, everybody who has an idea that could improve the system and the life of others and who knows how to code can turn it into reality over night without having to put money or asked somebody for a permission. If it makes sense people will use it, if it needs some improvement people will take it and improve it cause it`s an open source. That is such a basis for innovation that we even can`t estimate the innovation industry we are going to see in the next couple of years just because it`s possible. People can be innovative, people can be productive and I`m not talking only about the Western World, I`m talking about all the people in the world who have access to electronic networks.